I wanted to show you my jacket. 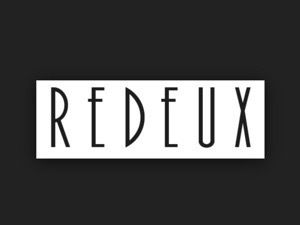 Vintage Redeux is a men’s and women’s apparel brand based in Los Angeles, California. Owner and designer Rachel Quiles founded Vintage Redeux in 2010. What began as a hobby, turned into a passion. A Los Angeles native she has always had a knack for finding vintage and an eye for spotting current trends in fashions of the past. She travels around California and its outlying states in search of unique a pieces to upcycle and adhere to the progression of fashion today. 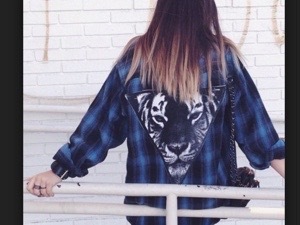 Vintage Redeux’s Spirit Animal Collection is the newest addition to the line. 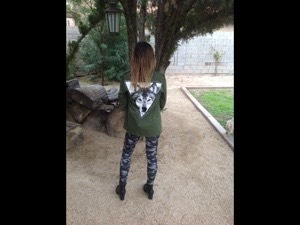 The Spirit Animal design is featured on military shirts, jackets, tees and crew neck sweatshirts. 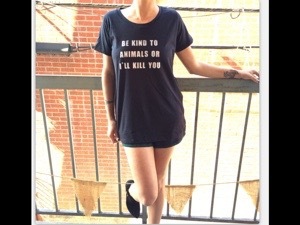 All items are sourced, screen printed and manufactured in Los Angeles by Rachel. This process makes each garment hand crafted and one of a kind. This is my jacket.I get it in a size small. 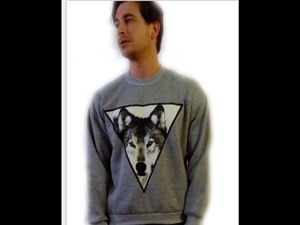 I thought that all my wolf lover friends would love it. It is a man size. The other products are really beautiful too. Could you write in the comment section what you think about it? Great clothing line. Stylish with a message. Very informative review by Valerie…who looks beautiful in her jacket. 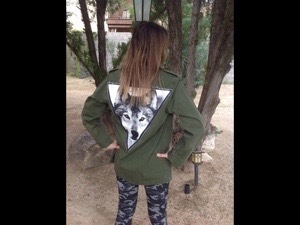 Great job Valerie ..great clothing line.